Grand Central Publishing, 9780446694889, 224pp. 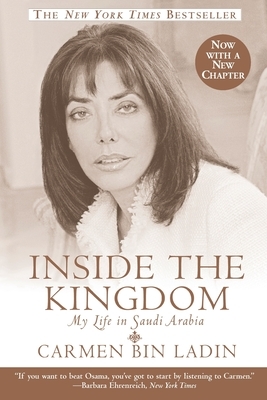 Osama bin Laden's former sister-in-law provides a penetrating, unusually intimate look into Saudi society and the bin Laden family's role within it, as well as the treatment of Saudi women. On September 11th, 2001, Carmen bin Ladin heard the news that the Twin Towers had been struck. She instinctively knew that her ex-brother-in-law was involved in these horrifying acts of terrorism, and her heart went out to America. She also knew that her life and the lives of her family would never be the same again. Carmen bin Ladin, half Swiss and half Persian, married into and later divorced from the bin Laden family and found herself inside a complex and vast clan, part of a society that she neither knew nor understood. Her story takes us inside the bin Laden family and one of the most powerful, secretive, and repressed kingdoms in the world.